Take Your Email Signup Thank You Page from DUD to STUD! Is your email signup thank you/confirmation page missing the mark and costing you easy sales? In this quick video (only 5 minutes!) I show you how to take your thank you page from a dud to a stud. 😉 Watch now! *p.s. I knooowww… at 3:45 I say “transgression”… I totally meant progression! *p.s.s. At the time this video was recorded I was not a Thrive Themes affiliate (as mentioned in the video)… I am now. NOTE: My Simple Social Media Action Guide shows you the exact strategy I’ve used to create a location independent business that gives me freedom and flexibility. Check it out! Hey it’s Tamala, from www.tamalahuntley.com where I help business, life and wellness coaches implement digital strategies, online systems and marketing automation. 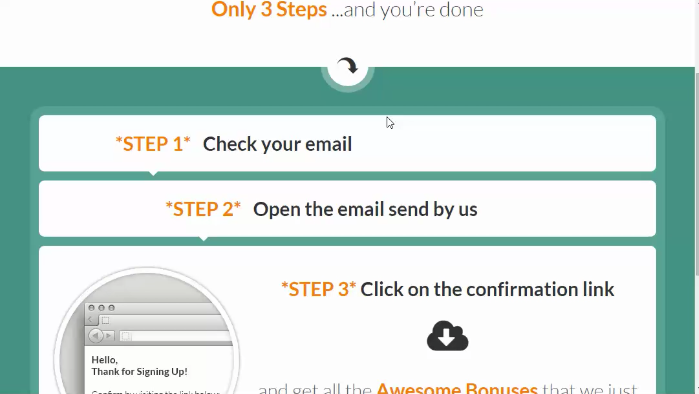 So in this video I wanted to talk quickly about something that most people kinda miss the mark on and that is your email signup thank you page and we’re going to talk about how it can be costing you easy sales conversions. I’m using Thrive Content Builder for my example in this video because I like them. I am not an affiliate(I am now), but I like them and I use the content builder on my own site. I like it as an alternative to say for example like a LeadPages or Megaphone… the ones that are hosted external to your website. I like Thrive because it is a plugin that I can install on my website and I have more control over it. And if I decide to not use something like LeadPages or Megaphone, or any of the others, anymore then my content stays with them… this way (with a plugin instead of an externally hosted service), my content is in my site and I have control of it. 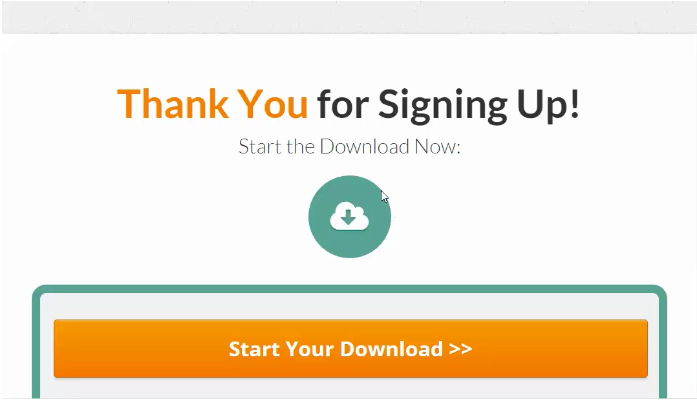 So, when you have your email signup page, and this is an easy example, someone opts in and says they want whatever your marvelous freebie is and once they enter their name and email information, typically you send them to a thank you page or a confirmation page. Maybe not as far as design goes but in terms of the content that is on it… you’re going to tell them to check their email. … where you actually give them some type of action to do like go and check out your social media page. Well here is something that you can do to this page to give it more power, to make it more useful… instead of just being standard; “here is your download check your email, go and check this out, or go check out my social media page,” you can take that page and turn it into a sales page for a product. The key is your product needs to be related to whatever your optin offer was so that it is a natural progression for anyone that gets the opting to want the next thing. So, up here (at the top) you can put something that identifies that they have downloaded whatever your freebie is and that it is coming to their email (Inbox) in couple of minutes, but say something like “before you check your email, check this out first”. You could use a video sales letter, so instead of a text only sales page, you can use a video sales letter and the same thing goes. You want to put something up here(at the top) that acknowledges the fact that they did indeed give you their name and email address or just the email address whichever you prefer for your great awesome freebie. So you want to have that at the top here and then you lead into a video sales letter that has whatever offer that you have that is related to that specific lead magnet. And then again you can also send them to a webinar. 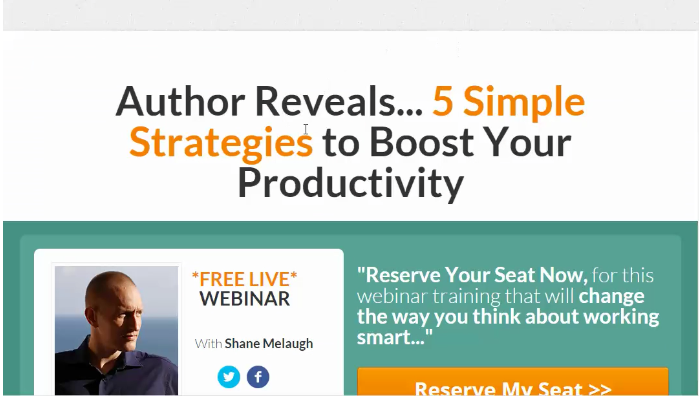 For example, maybe your webinar is on a specific topic, for example, boosting productivity… then your lead magnet would be on something related to boosting productivity, so that it is a natural progression. Then again you will add up here(at the top of the page), an acknowledgement for downloading. Now if you don’t want to use Thrive Content Builder or you don’t want to use LeadPages or something external, you can also use your own website and just build the page on your own site. This is a page that I built for and opting on my own site, using my current WordPress theme. There is an option for a landing page(under page templates) and I just use that and put the content on this page. So easy peasy, you can make your thank you page more useful instead of just having a plain thank you for opting in page. You can make it more useful and you can convert those leads into sales more quickly. Everyone won’t buy… everybody won’t convert but some of them will. The psychology of the person changes once they become a buyer rather than just a prospect so test it out!